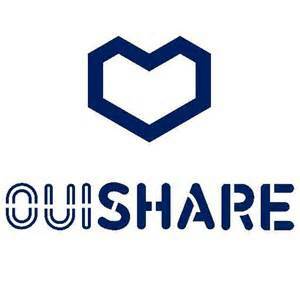 OuiShare Fest Forward is an accelerator for open source projects with measurable positive impact on sustainability, social development or decentralized governance. Each year, the OuiShare Fest gathers innovative leaders from all over the world to build a common vision of a collaborative society. In 2016, OuiShare will take a step forward. Building on the experience of POC21 and the OuiShare Awards, we are launching a 3-day accelerator for collaborative, open source projects with high social impact. The goal is to overcome challenges in areas such as product design, business models or scalability. Two initiatives will be selected directly by a jury of experts, the third nominee will be chosen through an online community vote. OuiShare Fest Forward is open for projects of various legal status and stages of development. The only two application requirements are that the project be Open Source and aims to create a Positive Impact. The projects will be evaluated according to their potential social impact, their synergy with the OuiShare values and the key topics of the OuiShare Fest 2016. The members of the selected projects have free access to the Fest. Online Applications are open until February 29th. If you have a great open source project and a challenge you want to solve, apply here! The post Accelerating Open Source and Positive Change appeared first on P2P Foundation.